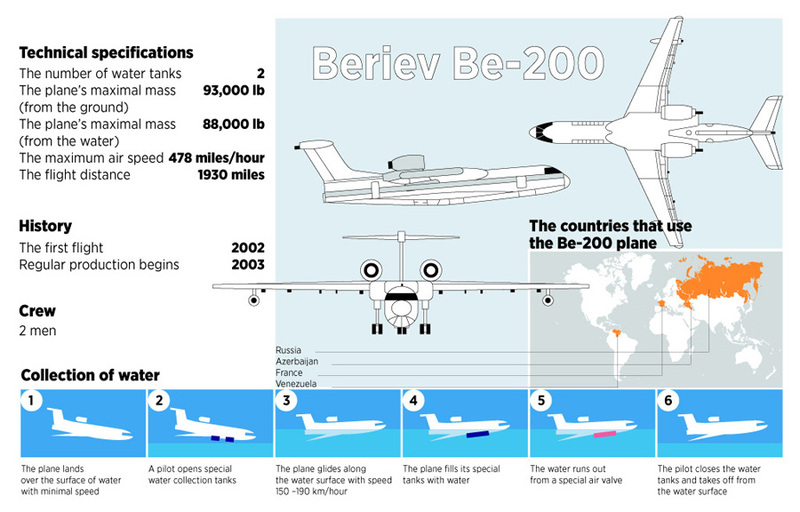 The Be-200, a multipurpose amphibious aircraft made by Taganrog-based Beriev Aircraft Company, passed the first Federal Aviation Agency (FAA) certification tests this month. Specialists with the U.S. Interagency Tanker Board visited a test base in Taganrog to examine the Be-200ChS, a modification developed for fire-fighting operations. Related article: Russia may fight fires in the U.S.